Fifth Gear Automotive specializes in auto service and auto repair. We service all makes and models – both domestic and import. We specialize in German auto repair including BMW, VW, Mercedes, Porsche, Audi. We support all other domestic and European brands including Volvo, Saab, Jaguar, Land Rover and most other popular European marques. We’ve been serving Lewisville and the surrounding communities of Flower Mound, Highland Village, Lantana, Corinth, Denton, Carrollton, Dallas, and the rest of the greater DFW metroplex area since 2004 by providing the absolute best in domestic, import, and European auto repair and service that is second to none. Stop by our Auto Repair Shop in Lewisville TX today! Not just European Auto Repair, we handle car repairs on any make and model! We specialize in European Auto Repair, but we do service and repair work on all makes and models. Complete Customer Satisfaction on all your auto repairs. We carry a full line of Red Line products, Royal Purple products and Motul Brake fluid. Let us show you our auto repair shop is the right fit for you. FGA has the customer service and workmanship that is top notch with a professionalism that I have found to be magnificent. I have an 04 Titan with over 317k and I "was having issues" with a vibration that two other establishments could not diagnose. After assessing the truck, Nate promptly explained exactly what was wrong and what repairs were needed. They even delivered my truck when I couldn't pick it up... That's a first! The truck now drives like a 2018. I'm very happy with my experience and I recommend Fifth Gear Automotive to anyone. Thank you FGA! The staff was very up-front and courteous. They have always done good work and they are at a great location. I had to have a brake job (pads and rotors) done, plus a blower motor replaced on my air conditioner. Since this was on a Prius, I knew that it would not be “cheap.” However, Fifth Gear was able to do it at a reasonable cost and lower than the dealership. Also, Fifth Gear has a night drop box, plus they provide transportation home, which makes it great for a person who works long hours. Wonderful customer service and informative. Thanks for going above and beyond. The pick up and drop off is a life saver! This place has been a godsend to me and my husband. We have been paying the high costs to dealers for getting our car serviced. Never again ,we will go Fifth Gear from now on. They took such good car of us and were very concerned about how much we were paying for services. Seemed like they really cared about the high cost and tried their best to keep the cost reasonable. Their work was great and the service outstanding. They even washed my car. So happy we found their business. THANK YOU!!!! This was my second visit and both times they have gone out of their way to help me with my car. Great service and great people. Thank you again for all you do !!! My son is a college student in the N Texas area and has to have his van repaired from time to time. I looked up Google reviews and found the high rating on this shop and I'm sure glad we did. We have used them on at least 3 larger repairs and they are always very straightforward. I have never had the feeling, as I have with other shops, that they were trying to rip the wallet out of my back pocket... Their prices are reasonable for the work they perform and the quality of work is top notch. I highly recommend this shop if you need service anywhere around the N Texas area... Worth the drive if you want peace of mind in service. From the Generosity to explain, the compassion to listen, the patience to wait for phone calls to SIGO, the neighborliness during transport, the fairness of price, cleanliness of business and the overall superior experience sealed my loyalty to fifth gear!! Very knowledgeable and do great work but above all they are honest. You aren’t paying for things you don’t need. We had a noise coming from the front end of our SUV. Within 3-4 hours, we got a call back that it was the upper control arms. They replaced them, did the alignment, and called to tell me the car was ready for pick up. When I picked up the car, the car was all washed and clean, the noise was gone, and the car went straight down the road. Perfect alignment! The staff at Fifth Gear is friendly and courteous, they always offer you a ride home, and they’ll come pick you up when your car is ready if you’re in need of a ride. They are very professional and thorough. We would highly recommend them. Very good reception and respectful from the front desk to the managers and technicians. 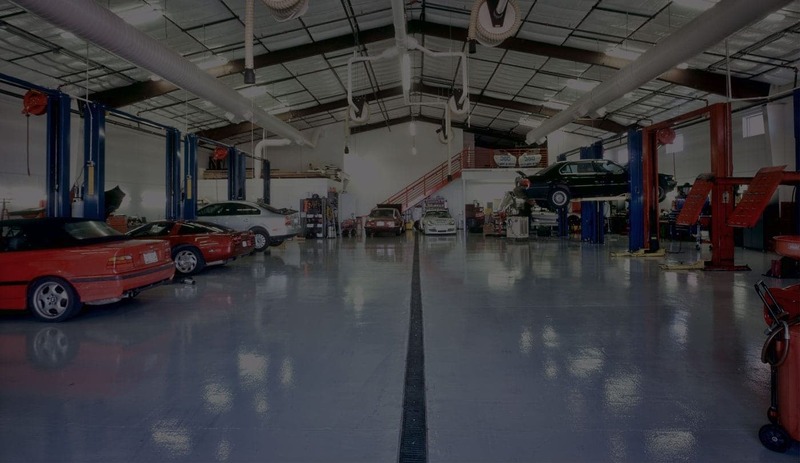 If you are looking for service that surpasses the dealerships, try Fifth Gear Automotive. You surely will not regret. Fifth Gear is the place to go to have your Porche cared for!! Ricky and his Team are the best in the business!! I've worked with 5th Gear to resolve problems that I've had on several vehicles. From significant engine problems to alignment, they have always been professional, knowledgeable and reasonably priced on their work. Today's problem involved an SRS (air back system) check light on the dash. They gave me a suggestion for resetting it myself and when that didn't work, they took my car into their shop immediately, without an appointment and resolved my issue. I recommend them because of their expert knowledge and friendly approach. Excellent and very intelligent staff. They were able to pinpoint what i need to do to fix my alignment problem on my 2001 Mercedes in order to stop eating through tires. I would recommend to anyone with a hybrid/german car if you can't find a good place. My husband and I are so thankful to Fifth Gear! My Honda Civic’s entire AC had to be replaced, and they saved us so much money. They went above and beyond to provide incredible service, Megan stayed in communication with us, and they even cleaned out my car (bless them! Ha!). We are so grateful for their diligence to provide honest car repairs and to treat their customers well. Super knowledgeable staff. Megan at the front desk is amazingly sweet, smart and accommodating. They are invested in supporting the community and they truly treat customers like family. So glad to have a place to take my Porsche! WOW Just some really nice people who do a great job. From the phone call to schedule service to the courtesy driver that picked me up were all 5 out of 5 stars. Everyone has an experience when they go for automotive service but it's hard to go somewhere else when they treat you like this and give a good price. Thank you Fifth Gear Staff, you've got another very satisfied customer. Everyone at Fifth Gear Automotive really cares about doing great service on your car and making sure everything is dialed-in perfectly. They have maintained my daughter's Protege5 for years and I trust them with my Miata. Highly recommend these folks! Thank you Fifth Gear Automotive! Great group of guys always willing to help suggesting different parts to meet what’s best for me and my car.